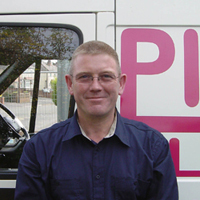 Established in 2002, at Plumbery Plus Ltd we pride ourselves on providing a personalised professional service of the highest quality and standard. With an engineering background spanning more than 30 years, Simon strives for a customer-orientated service that is friendly, reliable and efficient. Customer satisfaction is important to us and word-of-mouth referrals account for a significant amount of our business; with many customers returning to us time and again. Whether you need a leak repaired or a tap replaced, to a complete bathroom, kitchen, or central heating system installation we are able to help. We are based in Kidderminster and serve the surrounding areas. Why not contact us for a free no-obligation quotation, or to discuss your requirements.